Great hotel, great staff, they were willing to help . Will stay there again and again. Staff were lovely. Great food, good location and pool. Wonderful stay, brilliant staff, so helpful and friendly. Located in BTDC, this luxury resort is within 1 mi (2 km) of Bali International Convention Center, Tanjung Benoa, and Nusa Dua Beach. 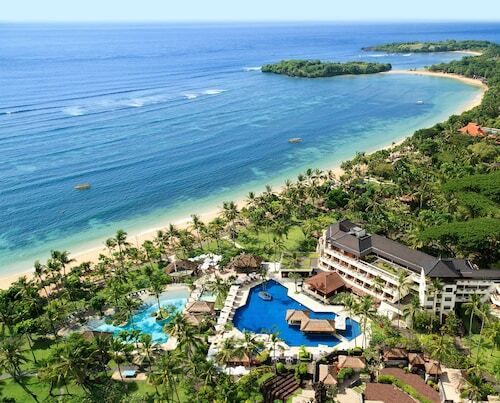 Bali Nusa Dua Convention Centre and Bali Nusa Dua Theater are also within 1 mi (2 km). Everything was lovely food amazing our room was divine loved it! Nice staff Breakfast staff not on the ball with bringing water to table and general service sluggish. Overall good !! Every year, Bali International Convention Center draws travellers to the area for a range of events. 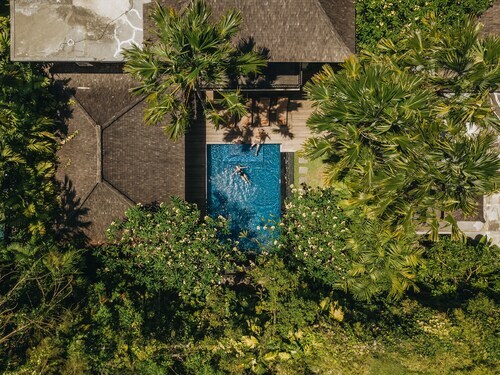 The locals are sure to tell you that it's among the best places in Nusa Dua, a destination located roughly 970 kilometres from Jakarta, the national capital. 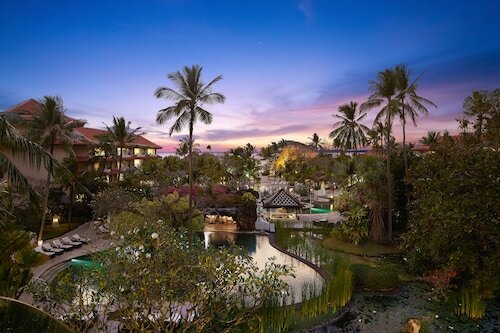 Save on your travel costs by arranging to stay at one of the 65 hotels and other accommodations within an easy commute of Bali International Convention Center. Popular ones include The St. Regis Bali Resort (2 kilometres), the Mulia Villas (2 kilometres) and The Mulia Bali (2 kilometres). Like to spend a little less on where you lay your head and more on seeing the world? Then stay the night at the Vie Residence, 2 kilometres away. 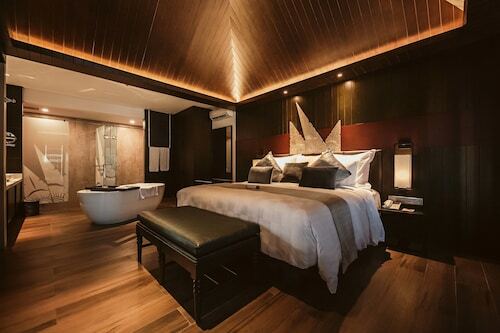 If you need a little bit of a treat, book a room at one of the luxury hotels in the immediate area. Check out the amenities at the Royal Santrian, a kilometre away. 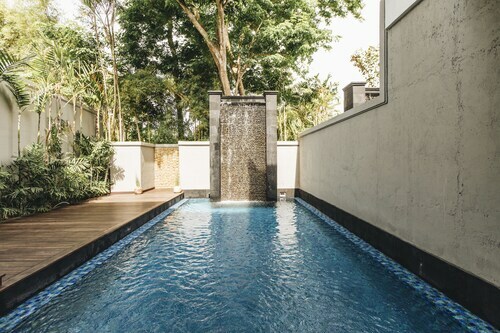 Alternatively, the Amarterra Villas Bali Nusa Dua - Mgallery Collection is merely a kilometre away. Prior to exploring Bali International Convention Center, go after the scent of hot coffee to Baskin Robbins. 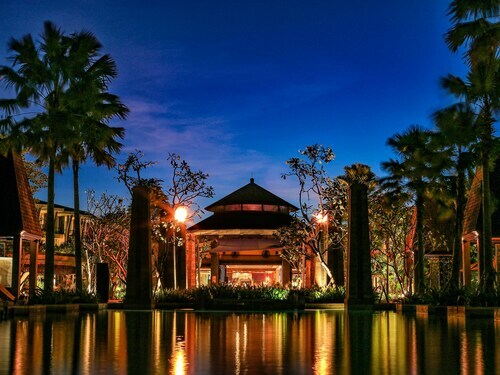 When your hunger takes over, find something just right at The Laguna, a Luxury Collection Resort & Spa, Nusa Dua, Bali. In the evenings, Tapas Bar is ideal for a beer or two. 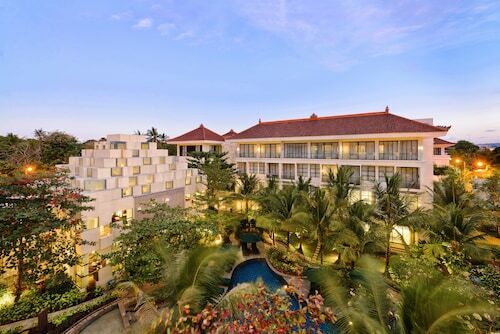 Bali Nusa Dua Convention Centre is a leading event facility that is worth a visit. 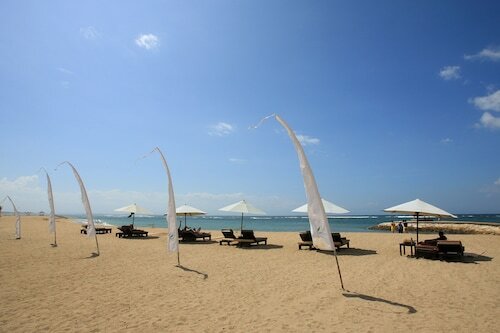 Plan an afternoon out at Nusa Dua Beach and breathe in the sea air as you soak in the sun. A trip to Pasifika Museum is the ideal rainy day outing for aspiring artists. If you've got some spare money for a rainy day, go to Bali Collection Shopping Centre to purchase everything you need and a treat for yourself! Check the program at Bali Nusa Dua Theater for any unique live theatre shows. 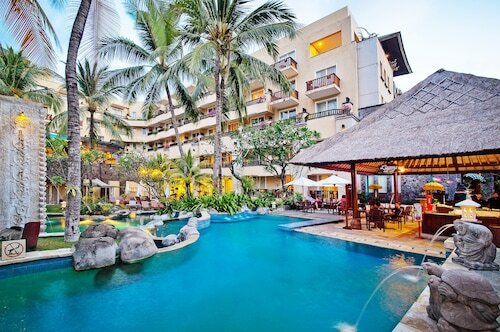 How Much is a Hotel Room in Bali International Convention Center? 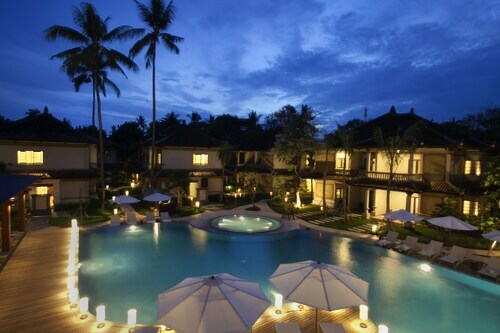 Hotels in Bali International Convention Center start at AU$68 per night. Prices and availability subject to change. Additional terms may apply.